The United States Postal Service have recently increased their postal prices. PC2Paper have increased our prices accordingly to take into account the changes. We are currently experiencing delays to Paypal payments being credited to customers accounts due to a problem with Paypal's systems. We regret that until the problem is fixed by Paypal payments will not appear instantly as it will be necessary for us to credit these manually. Any customers that have received confirmation of payment from Paypal and not had their account credited within 24 hours should contact us so we can resolve the issue. We have now reinstated the tracked service options for UK destinations as improvements in the local weather conditions mean our postal collections are now operating normally. All mail is now being passed to the postal service at close of business as normal. Customers may still experience some delays using these services and in some areas Royal Mail are still not guaranteeing the Special Next Day option due to bad weather conditions. Customers are advised to check the status of the service in the recipients area before sending. Updates are available from Royal Mail at the following link. We are currently experiencing disruption to services due to snow in the UK. As a result we are unable to guarantee Special Delivery and Recorded Delivery services at this time and have temporarily removed them from the website. We will restore these services as soon as the Royal Mail service is back to normal in our local area. Customers should be aware that any mail sent from Friday 18th of January is subject to delays. This includes any mail posted by Special Delivery and Recorded Delivery which is likely to take longer than usual. Unfortunately we are unable to guarantee that Royal Mail will deliver any Special Delivery items on the next working day at this time. Customers should allow extra time for delivery of all UK mail until weather conditions start to improve. We apologise for any inconvenience caused, unfortunately these delays are due to factors that are beyond our control. Heavy snow has affected services in many parts of the South West, South Wales, Mid Wales, the Midlands, parts of Northern of England and Anglia; especially in the more rural areas and over higher ground. There is likely to be some impact on deliveries and collections today in a number of postcode areas. The snow is expected to move east throughout the day. Particularly affected this morning are many parts of South and Mid Wales, including almost all parts of the CF & NP postcode areas and many parts of the SA area. We will be out attempting deliveries and collections in as many areas as possible, but only where it's safe and access is possible. We may not be able to collect your mail today if you are located in an area affected by the severe weather. We'd like to apologise to all customers whose mail services are currently being disrupted by the severe weather conditions. During this time PC2Paper will process all mail as usual and pass it to the postal service as soon as the services are working normally again. We apologise for any delays that may be experienced. 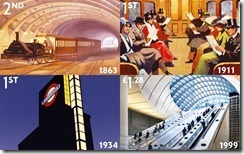 Royal Mail have recently released some new stamps to make the 150th anniversary of the London Underground. 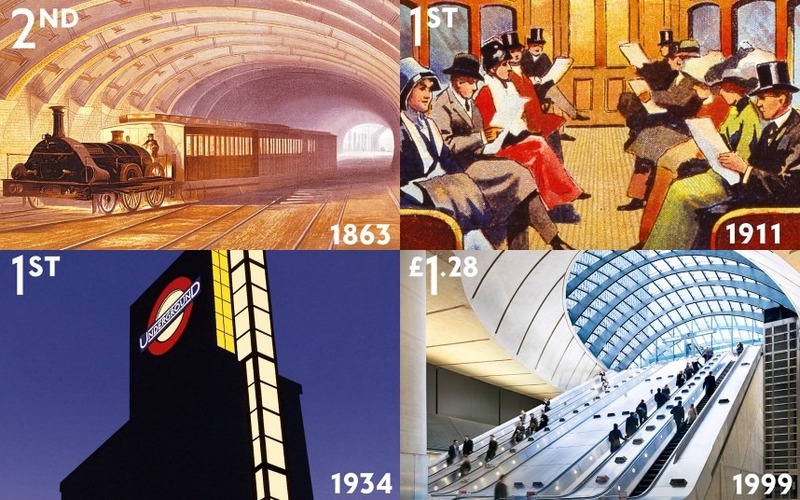 The stamps which went on sale on the 9th of January include 10 different images charting a timeline of developments on the tube.